The Presbyterian Historical Society has made a big splash on Wikipedia thanks to our volunteer, Pete Ekman. 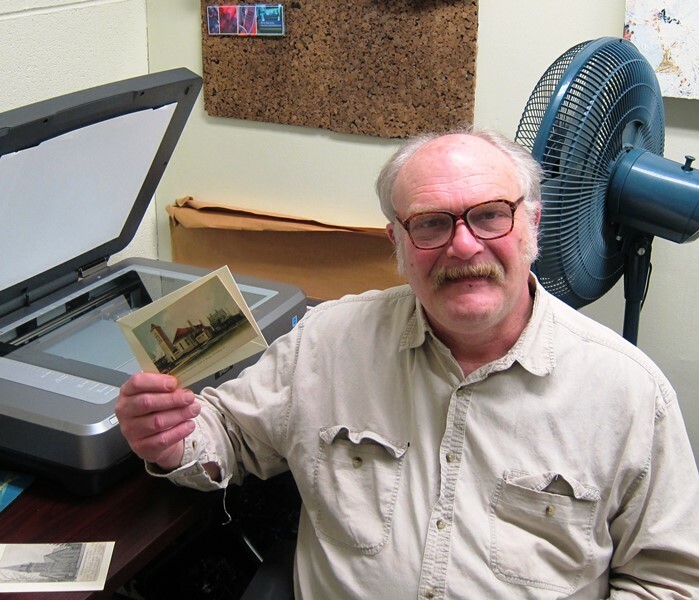 A retired finance professor, Dr. Ekman has been coming to the Society since October to scan Presbyterian Church postcards from our collection. Postcards became popular in the United States after the 1893 World’s Columbian Exposition in Chicago, when they were sold as souvenirs. By 1902, images of churches were common subjects. Today, the Society has 55 boxes of Presbyterian church postcards in our archives. Each box can hold up to 400 postcards. Dr. Ekman has scanned over 1,000 of those postcards. His main goal has been to upload the images onto our Wikimedia Commons page. Wikimedia Commons is a collection of over 25 million media files that include images, sound recordings, and videos. A part of the Wikimedia family, its mission is to provide public domain and freely licensed materials to the world. It is entirely supported by volunteers such as Pete Ekman. 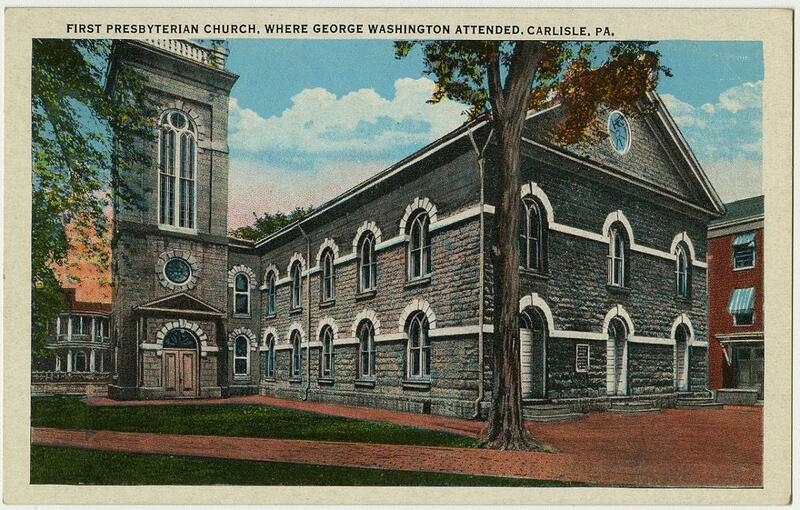 Pete has scanned all six boxes of our Pennsylvania Presbyterian church postcards and uploaded them to Wikimedia Commons. As a result, most Presbyterian congregations in Pennsylvania that were active before 1923 now have an image on Wikimedia Commons. Those postcards are now part of a project that Pete and two other Wikipedia editors are undertaking to create a Wikipedia page and an image for all 2,600 municipalities in Pennsylvania; the Society’s postcards can now be used as images for those pages. Pete also has scanned postcards from select churches across the country and plans to place the images on Wikipedia’s comprehensive list of Presbyterian churches in the United States. Pete Ekman, PHS Volunteer, 2015. In addition to Wikimedia Commons and Wikipedia, the archival images of the postcards Pete has scanned will be placed on PEARL, the Society’s new online digital archives that will be online later this year. Since all images in Wikimedia Commons are free for distribution, Pete was very careful to choose postcards created before 1923 and therefore in the public domain. There were certain clues he used to help him. Some of the best pre-1923 postcards came from Germany. Considered a real craft by German artisans, postcards from Germany usually had red or blue lettering on the front. All of these German postcards were made before the United States entered World War I.
Pete also said that fashion and automobiles helped him determine a postcard’s age. Dirt roads in front of a church were often another indication that the postcards were created before 1923. Additionally, postcards with messages on the front were another clue. Prior to the 1910s, the United States post office required that postcard messages be written on the front so as not to obstruct the address. These printings are known as undivided back postcards. After completing his scanning work, Pete plans to place more Presbyterian history on Wikipedia, including creating Wikipedia pages for historic Presbyterian churches listed on the American Presbyterian/Reformed Historical Site Registry—information originally gathered from our On Holy Ground publications. For that, and for the work he's already completed, the Society says, "Thanks, Pete!"